This weeks Small Business Spotlight is on Margie A. Pagano of Ameriprise Financial. 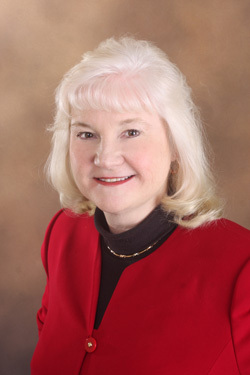 Margie provides financial advice to people living in the New Port Richey, FL area. You can get in touch with her at 727.841.9640 ext. 3254 or visit her website. My Philosophy I've been helping people reach their goals for 9 years. My goal is to empower my clients with a solid, actionable financial plan to allow them to enjoy an active and successful retirement — on their own terms. I will put my experience to work for you developing investment, tax planning and estate planning strategies — all aimed at maintaining your financial independence and lifestyle. You've worked hard. Now, as retirement approaches, it's your turn to redefine the second half of your life. Financial priorities differ from person to person. They can also differ from year to year. At Ameriprise Financial, we think it's important to have a financial plan that's tailored to your needs and has the flexibility to evolve with you. We take a comprehensive approach to financial planning, based on an ongoing relationship with a personal advisor. That's how we get to know you personally: your goals, your worries and your dreams. Then we draw on our more than 110-year heritage to provide experienced guidance to help you develop a financial plan and to find a broad range of financial solutions to meet your needs. That's how The Personal Advisors of Ameriprise Financial help over two million people feel greater confidence about their financial futures. Life is full of surprises and opportunities. We can help prepare you for what's next. Seeing people succeed in comfortable retirement with no income worries. Getting in front of people that can use my help with their financial planning and retirement goals. Largest Financial Planning firm in the USA. Personal service based on listening to you, the client. To build a client base of 700 households. Come see me for your financial planning needs. First appointment is no cost and may save you thousand over your lifetime.